On Monday 23 July, an Urgent Question was asked in the House of Commons about "Foreign Fighters and the Death Penalty" - Hansard Online. It had come to light that the UK government had agreed to provide information to the USA relating to Alexanda Kotey and El Shafee El-Sheikh who were captured in Syria in January 2018. The men are said to be part of a Jihadi group - referred to as "the Beatles" - and known for its brutality to captives including murder by beheading. The group included Mohammed Emwazi who was killed by a drone attack in 2015. It was generally thought that the UK refused to provide information where there was a risk that the death penalty could be applied and so the fact that assurances were not sought provoked a considerable furore - e.g. The Independent 23 July. In fact, the UK government handles requests for information in accordance with Overseas Security and Justice Assistance Guidance (OSJA) which does not absolutely rule out provision of information even where there is a risk of the death penalty. OSJA dates from 2011 and was revised in 2014 and 2017 - see Parliamentary Statement 26 January 2017. The Urgent Question has drawn greater attention to the OSJA but criticism of it is by no means new - see Open Democracy 25 November 2016. Kotey and El-Sheikh were deprived of their British Citizenship under powers given to the Secretary of State in the British Nationality Act 1981 section 40 (as amended). It is unobjectionable to provide information that may assist with the trial and conviction of alleged terrorists BUT if the UK is truly opposed to the death penalty then it is crucial that the provision of information is linked to appropriate assurances. Protocol 13 to the European Convention on Human Rights prohibits the death penalty under all circumstances in Council of Europe member States. It remains to be seen whether the government's decision will be the subject of a judicial review. It is doubtless a subject to which we shall return. The Guardian 26 July - Ben Emmerson QC - Did the UK government do a dirty deal with Trump over the Isis suspects? The article states - "Under immense legal and political pressure the government caved in and is beating a tactical retreat on its decision to help the US convict and potentially execute two Islamic State terrorism suspects, Alexanda Kotey and El Shafee Elsheikh. Earlier this week, Sajid Javid’s decision to help the US became public. And now the government’s legal department has given lawyer Gareth Peirce a formal undertaking that the Home Office and other government agencies will not provide the US attorney general or any US official with any “further” evidence about the case. 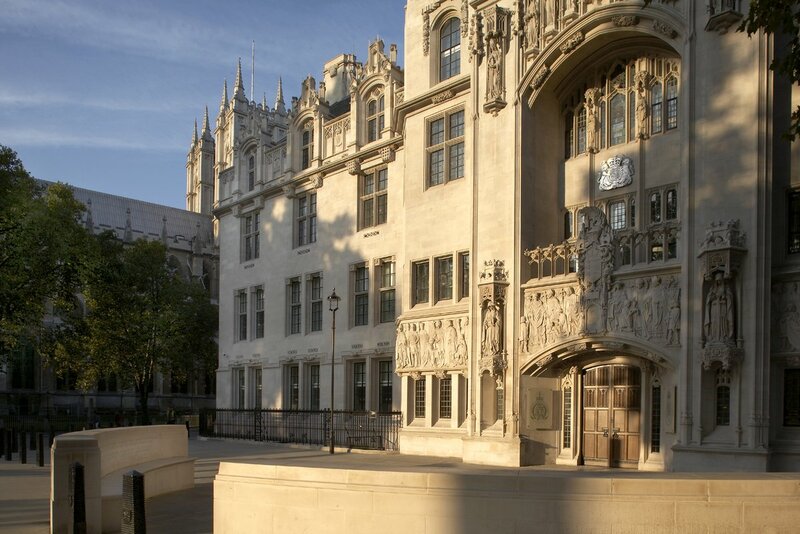 This is to allow a judicial review of the decision to be fully argued in the high court. The new undertaking was provided only under the threat of an application for an injunction." Supreme Court of the U.K.
247 Days to Brexit ~ Talk of treason ! Life long interest in law about which there is much misinformation and misunderstanding. My blog seeks to look at topical items and their complexities and tries to explain things in a straightforward way. Obiter means "by the way" and my posts are "by the way." I hope that the posts are responsible, balanced and informative but it is for you, the reader, to make up your own mind. I do not seek to persuade you. At all times I will try to speak for fairness - Pro Aequitate Dicere.